For some years now, the terrestris Innovation Days have had a permanent place in our calendar. On days that are also simply called “match days” internally, employees determine the content of their day themselves. Every employee considers in advance whether he wants to try something new or whether he wants to develop or test software or techniques. In this context, a simple app prototype was created which contains React Native components (e.g. buttons) and a WebView in which a fully functional react-geo application is integrated (see following figure). Another concrete goal was to establish communication between these components (native UI components and map in WebView). This goal was successfully tested. The GitLab Registry is an internal registry for docker images. These are used in such a way that corresponding images are automatically created and published in the registry. These images can then be used, for example, to quickly launch a current version of the project using Docker tools. Nexus is a tool for managing registries and other repos. Nexus simplifies internal test system deployments so that, for example, tests can be performed faster. It is also quicker and more convenient to install at the customer’s site, simply by downloading a new image from the Nexus. Overall a very helpful addition to make repetitive workflows more pleasant and less error-prone. The term open data primarily describes own electronic databases of the public administration, which are made available to external third parties for further free use in the public interest with an open usage license. Excluded from this are personal data. 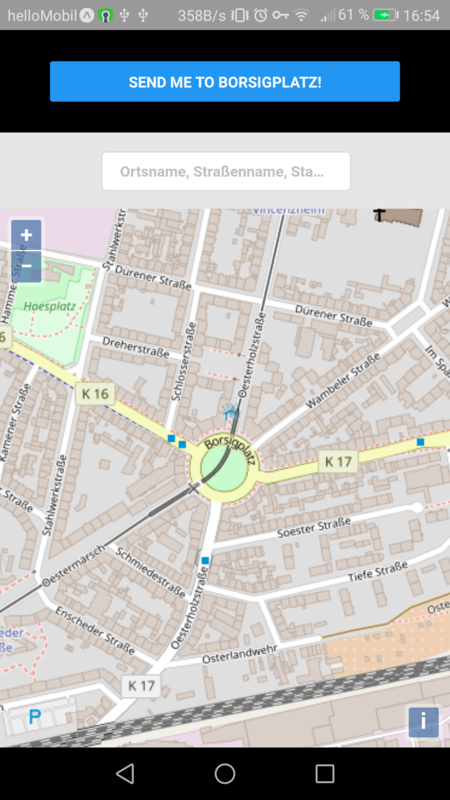 For Innovation Day, a CSV data set was selected that was not georeferenced and contained only the street names. 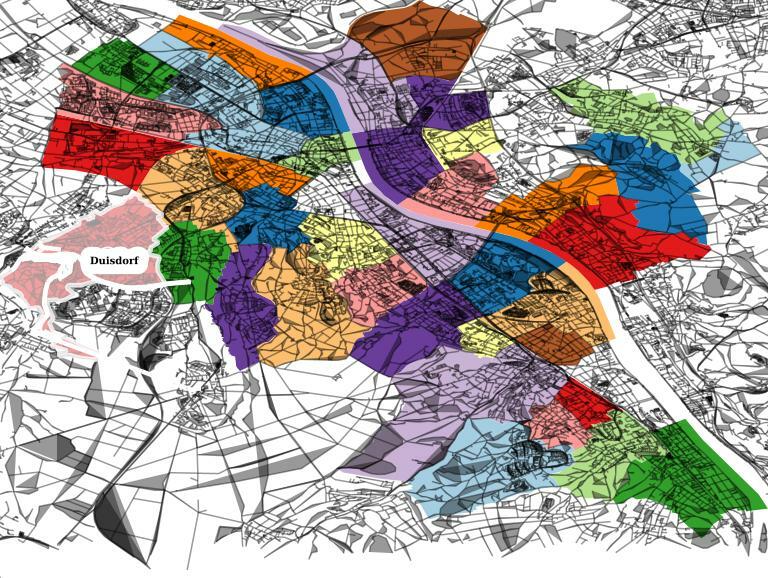 This was then spatially located once with the Cologne-Bonn road network and once with the districts of Bonn and thus refined. Afterwards a script was written, which takes as parameters a CSV and GeoJSON file as well as column names for the resulting database-JOIN. This automatically imports all relevant data into the database, merges the tables and appends geometries. Specifically, the garbage departure dates 2018 were used and a map was created in the GeoServer from the bulky waste data, which can be queried as WMS time. The QGIS Time Manager Plugin enables the analysis and visualization of temporary geodata in QGIS. Both vector and raster data can be filtered in time using timestamp attributes and transformed into animation with just a few clicks. The term Geogiffery (geography + animated gifs) includes many use-cases on the net, ranging from animated natural catastrophe events (volcanic eruptions, earthquakes) and LULC changes to the visualization of everyday commuter flows in conurbations.